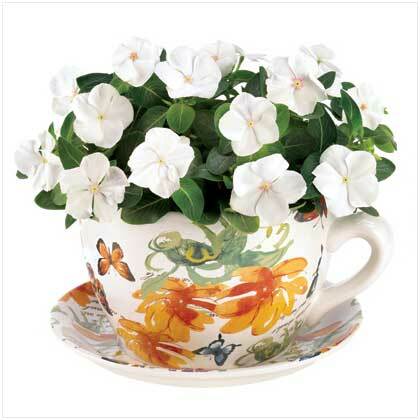 Grace your garden with rustic romance and the music of flowing water! 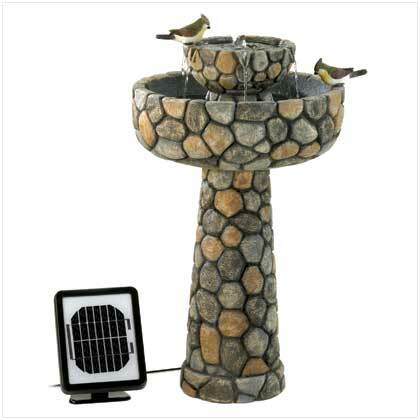 Elegant faux cobblestone fountain features the convenience of two power options: Solar panels for cord-free enjoyment, or an optional electrical plug for shady locations or overcast days. Weight 17 lbs. Polyresin, stonepowder, and sand. Solar panel, pump, electrical adapter included. May Require Additional Freight Charge. Some Assembly Required. UL Recognized. 15 3/8" x 15 3/8" x 25" high. Retail Price: $259.95.